Pavel Kolesnikov was born in Kyrgyzstan and grew up in Kazakhstan in pastors home. After graduating from high school and music college, in 1978 he accepted Christ and was baptized in 1981. Between 1985-1987 Pavel was in the Russian army. A few years later in 1989 Pavel married his wife Lubov. They now have three daughters and one granddaughter. Pavel was involved in the start of a new church in Moscow in 1989. In 2010 he was called to lead the All-Russia Commonwealth Evangelical Christian organization, where he held the role of chairman. In 2014 he graduated from Theological Institute (TCMI) in Vienna, Austria with his MA. Since 2015 Pavel has served as the co-chairman of the Advisory Council of heads of the Protestant churches in Russia. 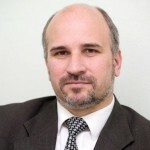 He also serves as the senior pastor of Zelenograd Baptist Church.